Robert Rhodes, who used to review for us here at FanLit, is an attorney who lives in South Carolina and prosecutes child and elder abuse. He’s also a nationally licensed youth soccer coach. His fiction has appeared in several markets, including Black Gate. 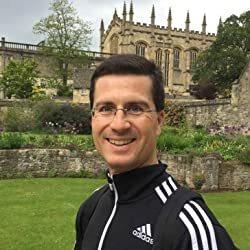 He’s been named a finalist in The L. Ron Hubbard Writers of the Future Contest and has been a guest lecturer at the Shared Worlds creative writing camp. 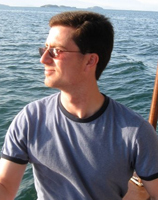 He was the author of the series 20 Heroes in 2010 at FantasyLiterature.com, and his essay “Servants of the Secret Fire: Why Fantasy & Science Fiction Matter” won second-place in Pyr’s fifth anniversary contest. His story “The Dead Travel Silently” is scheduled to appear as the first-place entry in the Stealth challenge anthology forthcoming from Rogue Blades Entertainment. Follow him on Twitter: @rrhodeswriter. Click here for more stories by Robert Rhodes. FanLit's own Robert Rhodes was recently interviewed by Jason M. Waltz, founder of Rogue Blades Entertainment (RBE). 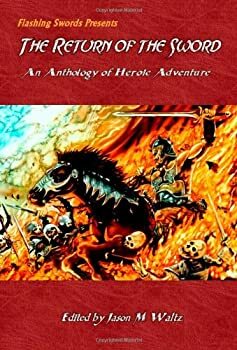 RBE publishes Return of the Sword: An Anthology of Heroic Adventure which includes Rob's story "To Be a Man". You can read Greg's review of Return of the Sword here. This interview is reprinted here with Mr Waltz's permission. 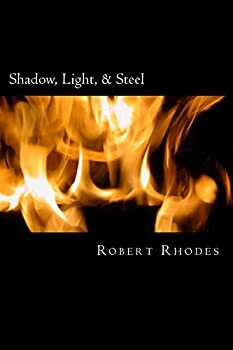 Shadow, Light, & Steel (2016) is a thoughtful, evocative collection of short fantasy, including six short stories, two essays, and twenty character sketches, glimpses into the hearts and lives of vividly imagined people in other worlds and times. Rob Rhodes’ fiction in this collection is in the heroic fantasy genre, with a visible (and acknowledged) debt to Dungeons and Dragons lore. The main characters in these works are spirited individuals who are challenged, but not beaten, by their circumstances. Whether or not they prevail against adversity, their spirits are undaunted. These are people I would like to read more about, to get to know better, to share an evening’s conversation with by the fire. I read and have read a lot of anthologies. They’re great for “in-between-books-reading” and are perfect when you just want a story that you can start and finish in one sitting. Anthologies are also a great source for sampling different writers. Jason M Waltz did a great job of picking out the stories to use for The Return of the Sword. Except for only one or two stories (even the ones that weren’t particularly something to my personal taste) I found these to be very well and interestingly written.